One of the greatest concerns for the aging population is cognitive decline which leads to loss of independence as well as an extreme burden on the caretakers. Individuals worldwide are fearful of being diagnosed with any of the various cognitive issues: Dementia, Parkinson’s, Alzheimer’s, and other forms of cognitive debilities. In 2015 there was an estimated 47 million people living with dementia and this number is expected to triple by 2050. 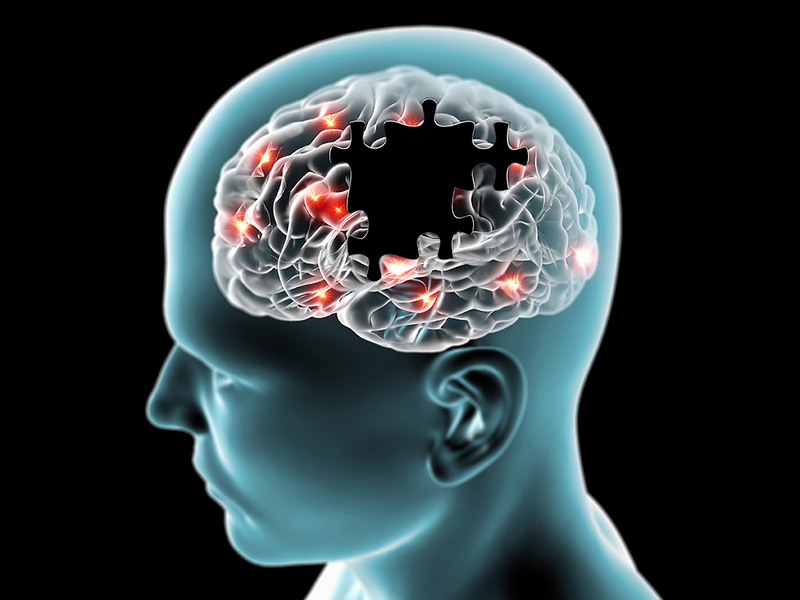 In 2014, the Alzheimer’s Association reported that they believe there is sufficient evidence to support the link between several modifiable risk factors and a reduced risk for cognitive decline and sufficient evidence to suggest that some modifiable risk factors may be associated with reduced risk of dementia. Specifically, that regular physical activity and management of cardiovascular risk factors (diabetes, obesity, smoking, and hypertension) reduce the risk of cognitive decline and may reduce the risk of dementia. The Association also believes there is sufficiently strong evidence to conclude that a healthy diet and lifelong learning/cognitive training may also reduce the risk of cognitive decline. Positive association between aerobic exercise or CV fitness and executive functions is highly consistent but cannot determine causality. 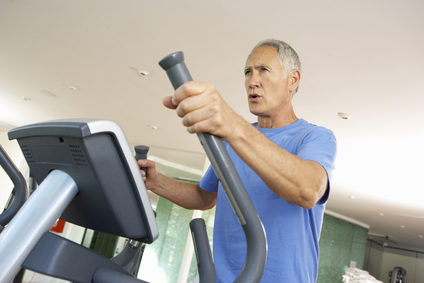 Aerobic exercise (AE) has shown moderate to medium sized effects on executive function and memory. 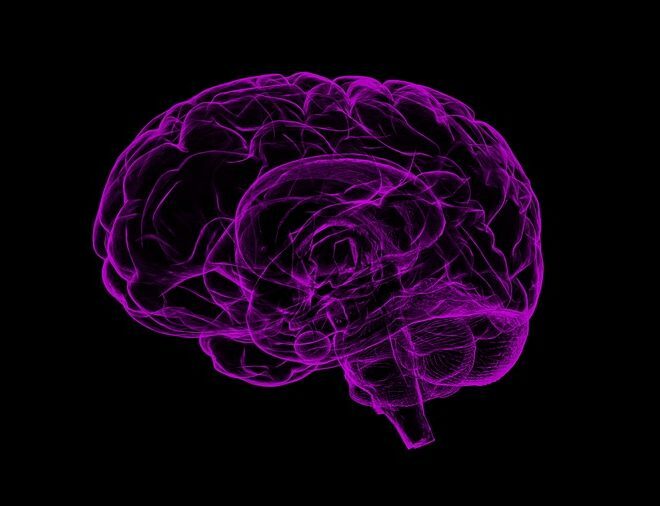 Resistance Training (RT) has improved executive function and memory. Combined AE and RT has the biggest (potentially synergistic) effect. It has been proposed that the physical and cognitive exercise might interact to induce larger functional benefits. Larger benefits on cognitive test performance were noted for combined physical and cognitive activity than for each activity alone. “Claims promoting brain games are frequently exaggerated and at times misleading. … To date, there is little evidence that playing brain games improves underlying broad cognitive abilities, or that it enables one to better navigate a complex realm of everyday life (Consensus statement, 2014). 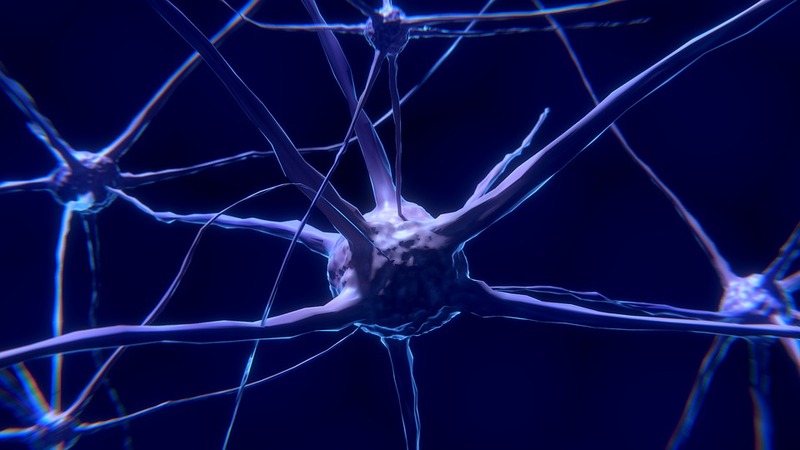 Neuroplasticity is the brain’s ability to reorganize and rebuild itself by forming new neural connections. The more neural pathways you have, the more resilient your brain is. 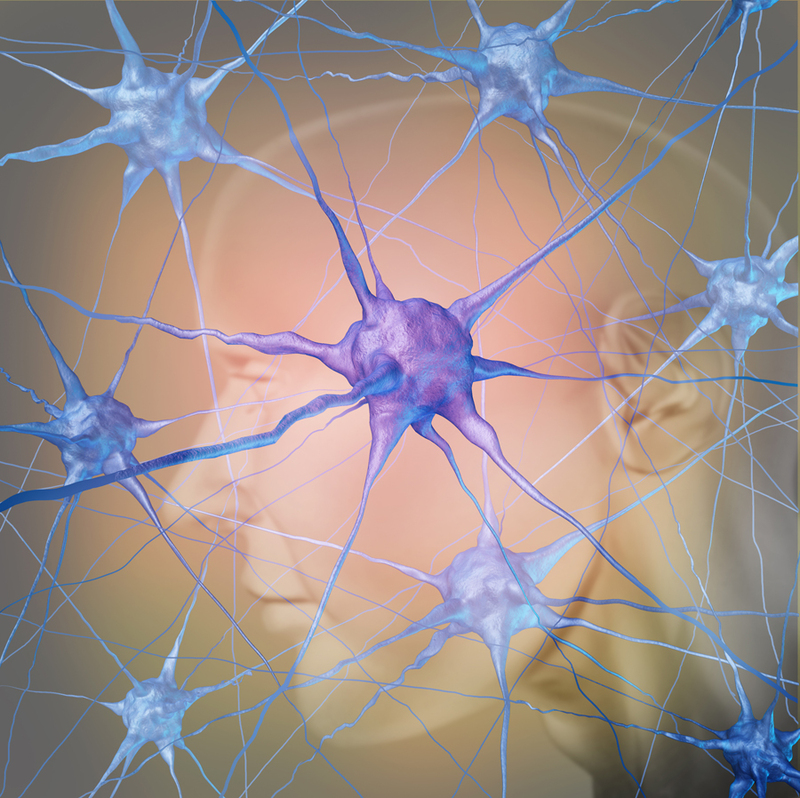 Neurogenesis is the process of creating new neurons (brain cells). Contrary to popular belief, neurogenesis continuously occurs in the adult brain under the right conditions such as with exercise. Substantial benefits on cognitive test performance were noted for combined physical and cognitive activity than for each activity alone. It was also noted that the physical and cognitive exercise together might interact to induce larger functional benefits. “We assume, that physical exercise increases the potential for neurogenesis and synaptogenesis while cognitive exercise guides it to induce positive plastic change” (Bamidis, 2014). To maximize cognitive improvement, combine physical exercise with cognitive challenges in a rich sensorimotor environment that includes social interaction and a heaping dose of fun. Cody Sipe, PhD, has an extensive background in the fitness industry with 20 years of experience as a personal trainer, fitness instructor, program director, exercise physiologist and club owner. He is currently an Associate Professor and Director of Clinical Research in the physical therapy program at Harding University. He is the co-founder and vice president of the Functional Aging Institute (FAI). When training clients with a neuromuscular disease such as Parkinson’s and/or Multiple Sclerosis there are many challenges. The challenges can range from physical to emotional setbacks. It is important to focus on the physical as well as mental capacity. There are certain patterns associated with exercises that provide balance, core, flexibility, facial, and hand motor training, that keep the mind focused. 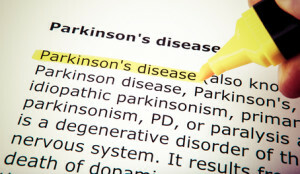 Below are five tips when working with clients who have Parkinson’s and/or Multiple Sclerosis. Balance is one of the first things to decrease as we get older, but much quicker with those with Parkinson’s and/or Multiple Sclerosis. One common injury is falling so it is important to focus on balance. Start with simple single exercises to work on balance. Even standing with just the eyes closed can provide a challenge. Also try unstable surfaces like a balance board or Airex-pad to challenge balance. 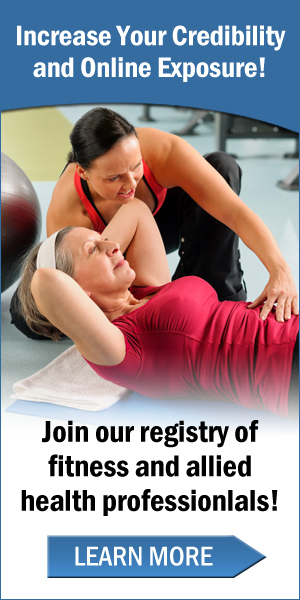 Incorporating core exercises will help your clients with the balancing and movement exercises. If the client can stabilize core muscles during the balance exercises it will help them to be more aware of posture and overall strength. Plank exercises are great for utilizing the core. Also a seated ball lift one leg while maintaining posture helps with posture when sitting. Flexibility or range of Motion exercises combine Balance and Core Training to help improve flexibility and coordination. There are two types of flexibility training, Static and Dynamic. Static stretching is holding a specific stretch for 45-60 seconds. This is great after working out to prevent injury and improve range of motion. Dynamic flexibility is more movement based. Exercises such as reverse lunges help improve flexibility while moving, while challenging balance and the core. Particularly with Parkinson’s clients, they will get a look to their face that looks like there is no expression. To keep these muscles in the face active doing simple jaw, mouth, eyebrow, and cheek movements will help keep facial muscle active. 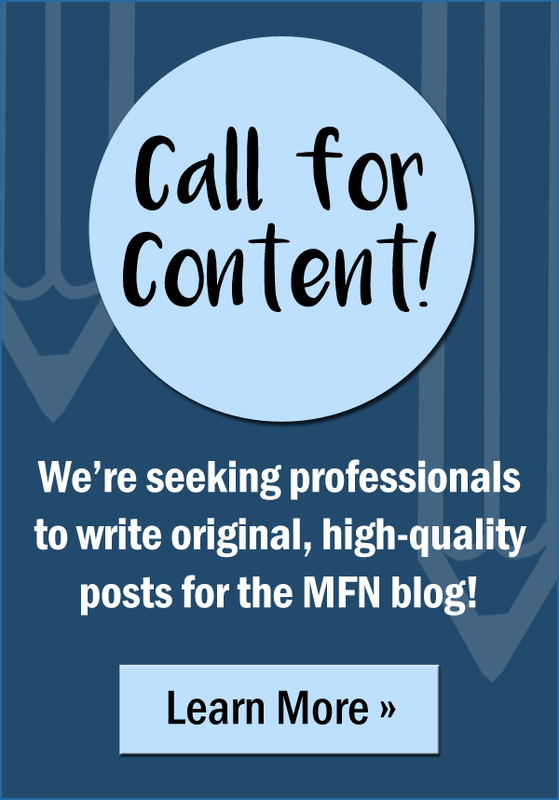 Writing is important keep the mind and emotional part of having Parkinson’s and/or Multiple Sclerosis active. Motor skills in the hand will decrease as well as focus and concentration. So things like cross word puzzles and word finds are great for incorporation of mind and body. 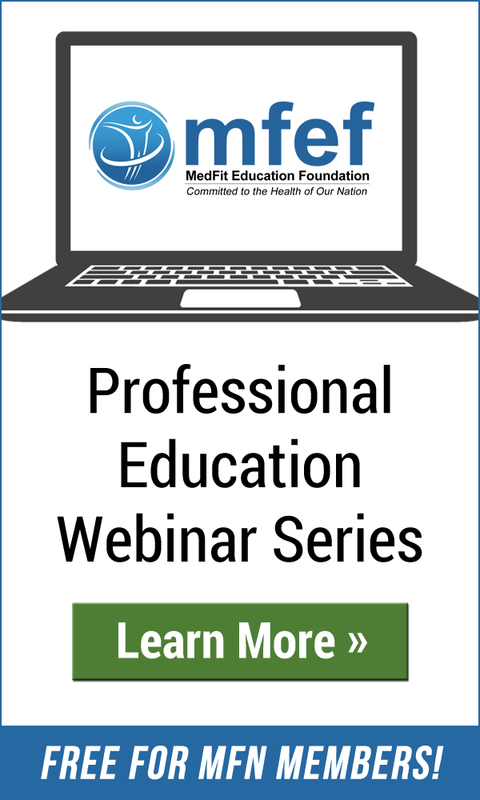 In summary, it is critical to use all of these tips for Parkinson’s and Multiple Sclerosis training in progression. Each client is different, so challenge them to their fitness level. Progress or digress exercises accordingly. Take into account the psychological well-being of your client when progressing them in their workout regimen. Jason Williams has been a personal trainer, pilates instructor, and wellness coach for 13 years and is a graduate from Lynchburg College in Virginia with a Bachelor of Science degree in Sports Medicine. While at Lynchburg College he was a 1st team All-Conference Track and Field Athlete. 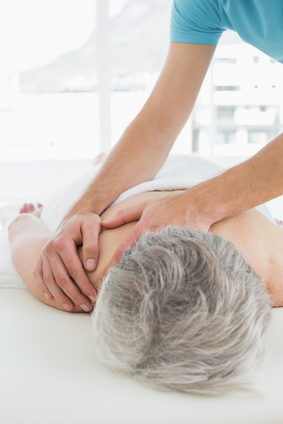 Jason has worked with a wide variety of clientele from kids, professional athletes, seniors and special populations. He recently wrote a children’s health and fitness book, The Adventures of Frankie Fitness, which motivates kids and adults to live a healthy lifestyle. He currently works at The Maryland Athletic Club in Baltimore, Maryland. Find Jason at Charm City PT. Media coverage on the power of boxing to combat the symptoms of Parkinson’s disease has been a hot topic in the Parkinson’s community. Rock Steady Boxing, a national program that initiated Parkinson’s specific, non-contact boxing programs with certified coaches, has inspired local boxing gyms in our area to begin offering boxing training to our local community. So, is boxing your way to better health an option for you? More importantly, what are the benefits of this fun and energizing fitness trend? 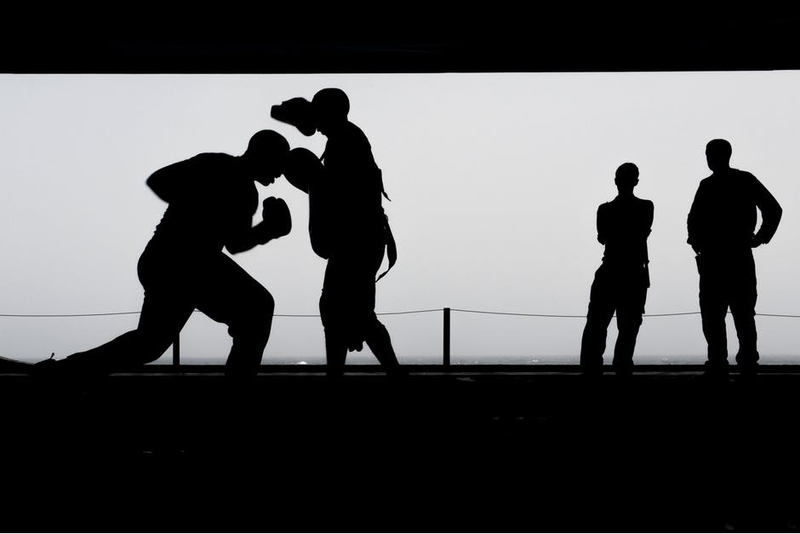 Learning how to box and executing the six common punches – jab, straight right, left hook, right hook, left uppercut and right uppercut – is a powerful way to develop your skill-related fitness. Skill-related fitness includes agility, balance, power, speed, coordination and reaction time. 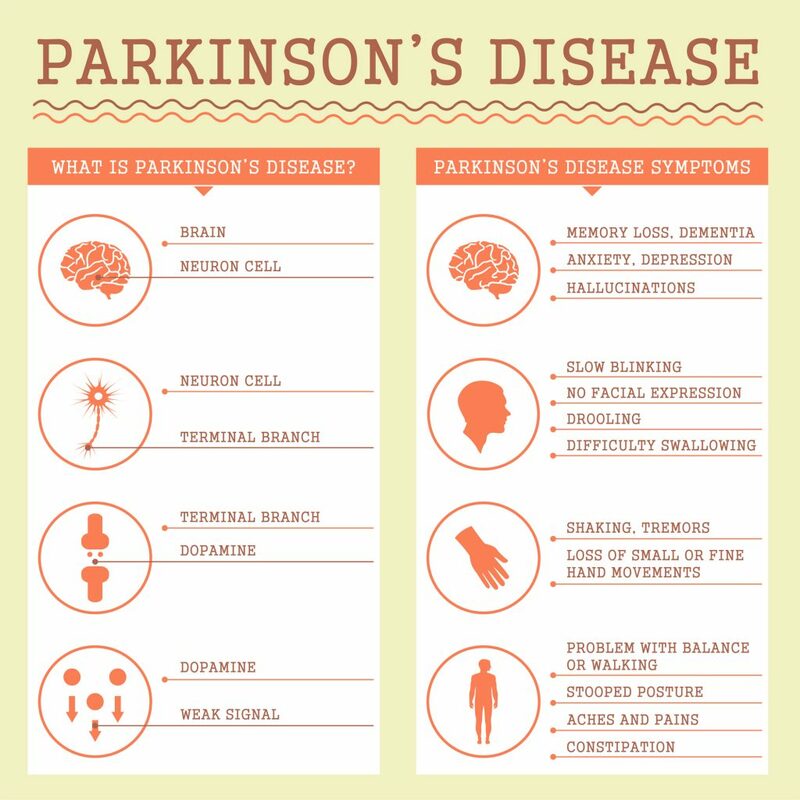 All these components are of particular importance to someone with Parkinson’s who may be experiencing a decline in several of these areas. Shadow boxing (punching the hands of a trainer in front of you in a sequence) helps improve speed, coordination and reaction time. Taking lateral steps around a boxing ring helps reinforce balance and agility. Putting your body into a split stance to throw your punches helps to strengthen your lower body and make you more stable. Another excellent advantage to boxing is it enhances your cognitive fitness. Many people with Parkinson’s experience some challenges with clarity of thought, memory, and ability to do certain tasks. Learning boxing punches in sequence and repeating them helps to create new neural pathways which help to strengthen your brain and your functionality. Being exposed to and learning this new activity also helps improve your cognitive abilities. What may be the most important reason to take up boxing is the feeling of strength and empowerment you will feel as you literally “fight” this disease. Punching a boxing bag can help relieve stress, make you feel in control, and give you an incredibly productive outlet. Boxing is fun, it’s invigorating, and it’s energizing. In order to participate safely, be sure to get your physician’s clearance before beginning a boxing or exercise program, and always adhere to the safety precautions outlined by your instructor. Carisa Campanella, BA, AS, is an ACE Health Coach and ACSM Personal Trainer. She is the Program Manager at the Neuro Challenge Foundation for Parkinson’s. Neuro Challenge provides ongoing monthly support groups and educational programs, individualized care advising and community resource referrals to help empower people with Parkinson’s and their caregivers. Challenges with balance and stability can happen to all of us as we get older, but is certainly more prevalent in our Parkinson’s community. 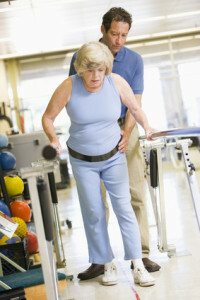 Maintaining lower body strength in conjunction with balance is very important as it decreases one’s chances of falling. Balance is defines as the state of having your weight spread equally so you do not fall; stability is the quality or state of something that is not easily moved. In order to maintain balance and stability, we need to have our center of gravity over a strong base of support. If your center of gravity standing upright is the area of your belly button – then your feet are your base of support. Standing with both feet on the ground spread just past shoulder width offers a stronger base of support than standing on one leg or with your feet very close together. 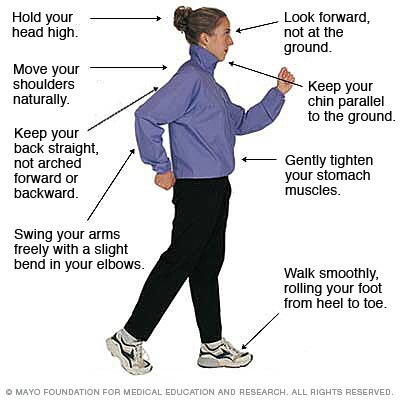 There are many issues that can affect your ability to balance yourself while standing or walking. Trouble with vision, lack of lower body strength, poor posture, medications, low blood pressure, and inability to properly lift our feet are all contributors. So how can you better prepare yourself to stay strong on your feet? Slow Rise: When standing up from a chair or rising out of bed – do so slowly and wait about 5 seconds before you begin to walk. This enables your body to adjust to the change of position. Hands Free: Keep at least one hand free at all times while walking – carrying an object with both hands can interfere with your ability to balance. Arm Swing: Attempt to swing both arms from front to back while walking – this also helps maintain an upright posture and reduces fatigue. Walk Consciously: Always strive to consciously lift your feet off the ground while walking; a shuffling gait can cause one to trip. Make a U-Turn: When trying to navigate a turn while walking, use a “U” technique of facing forward and making a wide turn as opposed to pivoting sharply. Helping Aides: Don’t be intimidated by canes, walking sticks, walkers or grab bars. These helpful devices can keep you safe and prevent a fall. Keep it Simple: Only do one thing at a time when you are on your feet. Using a phone, gazing around, or even drinking a beverage can be a distraction and affect your balance. In addition to taking these steps to maintain your balance and stability – take precautions in your home to make it safe. Loose throw rugs, scurrying pets, wet bathtubs and slippery staircases can cause danger in your home and throw even the most strong and stable person off balance. 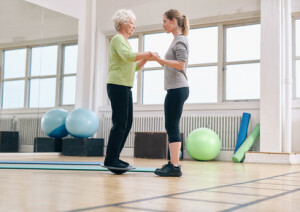 Also, working with a fitness professional to strengthen your stomach and leg muscles will help keep you more stable and lessen your likelihood of falling if you were to lose your balance. A strong body is a more stable body!